Good times in the mountains. Designed for the most challenging terrain and any snow condition the mountain can dish out, the Ripstick series is the ultimate Freeskiing tool for demanding skiers. Constructed with a progressive shape and unique TNT technology to maximize weight reduction and efficiency, the Ripstick delivers uncompromised versatility and smooth performance. With the addition of the Amphibio profile and SST sidewall construction for power and stablity, the Ripstick floats like a butterfly and springs like a ski. Plake’s Pick. Designed by our athletes and pushed by the world’s best, the Ripstick 106 will assault the steepest and deepest with reckless abandonment. 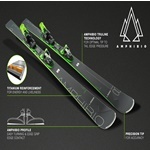 The Ripstick 106 is the ultimate one ski wonder for all the variable terrain from the boundary line to base lodge, peak to parking lot and trail to tail gate. 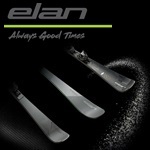 No wonder its Glen’s favorite ski from the Elan quiver! TNT technology. 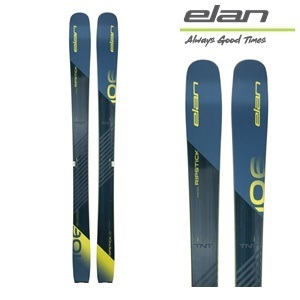 Elan’s TNT technology is a unique and innovative combination of a TubeLite Woodcore, featuring tip-to-tail carbon tubes, Vapor Tip inserts, and advanced composites that are integrated into the tip of the ski’s woodcore. RECOMMENDED BINDING: ATTACK2 13 AT.